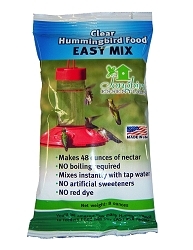 Home > Wild Bird Essentials > Bird Feeders > Hummingbird Feeders > Best Hummingbird Feeder 30 oz. 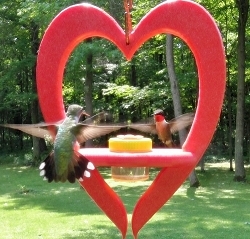 Large capacity feeder for your hummer garden! 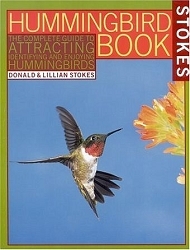 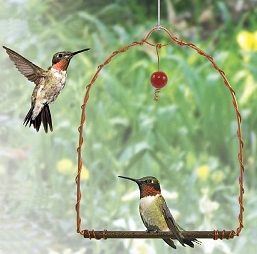 Attract lots of colorful hummingbirds to your yard! 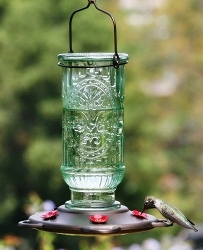 This large capacity glass feeder is truly one of "Our Best" glass hummingbird feeders! 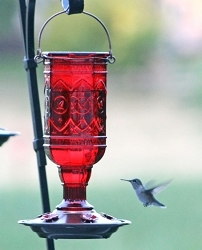 Our Best Glass Hummingbird Feeder promises hours of hummingbird-watching pleasure and is perfect for any bird lover. 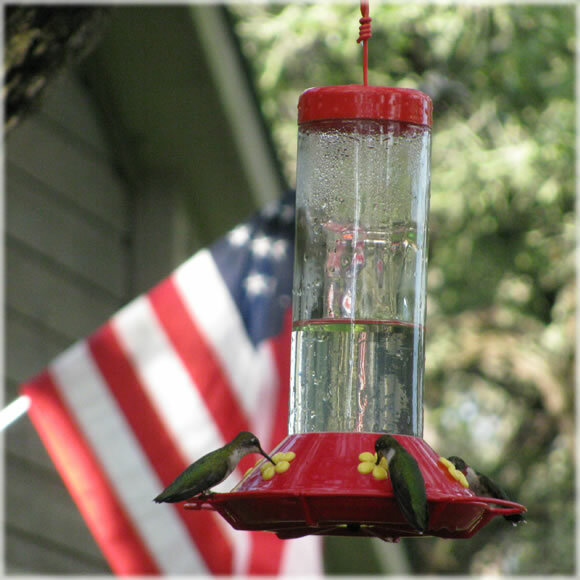 Able to hold up to 30 oz of nectar, this hummingbird feeder features a clear bottle made of hardened glass for at-a-glance nectar monitoring. 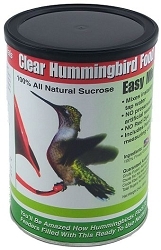 It’s designed with a wide mouth bottle to enable easy filling and cleaning. 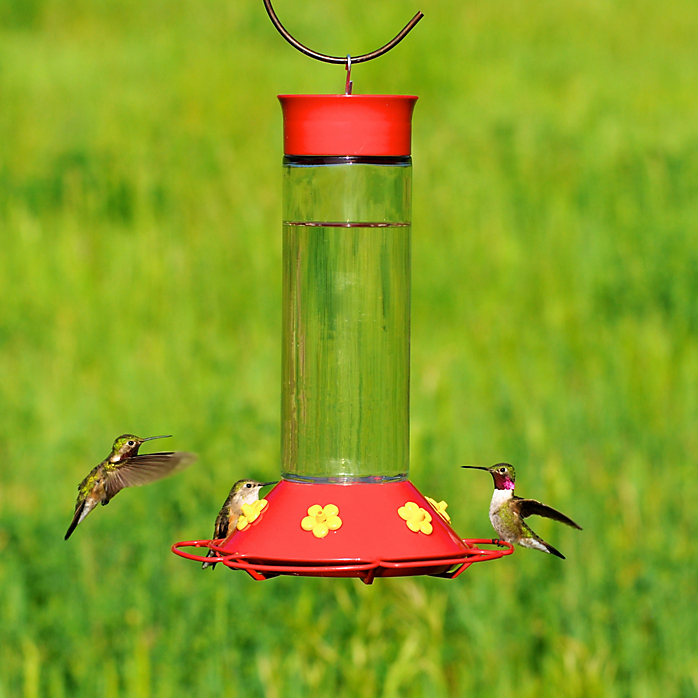 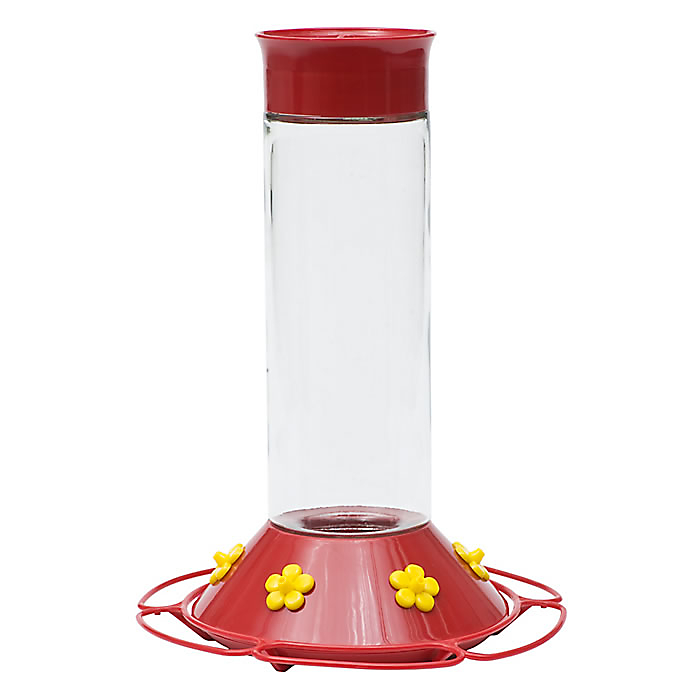 To attract birds and provide visual appeal, the feeder features bright red and yellow accents. 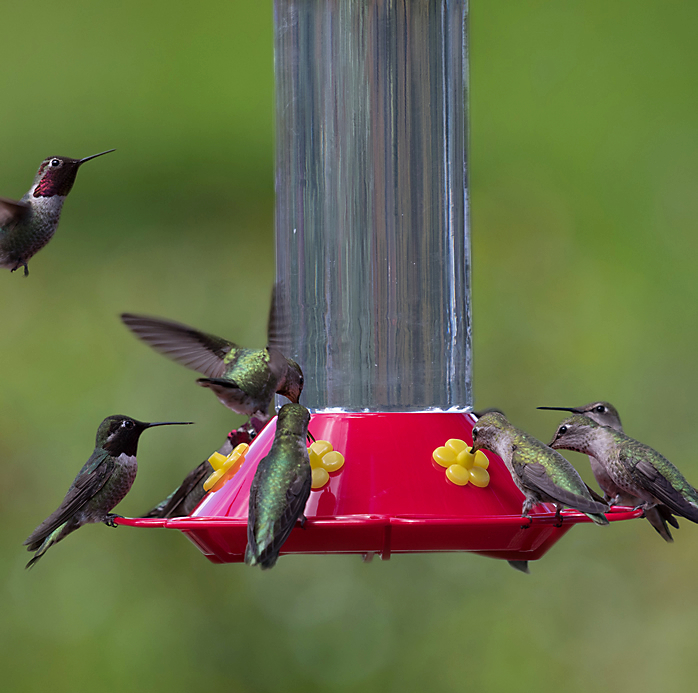 The feeder includes six feeding stations with a wraparound perch. 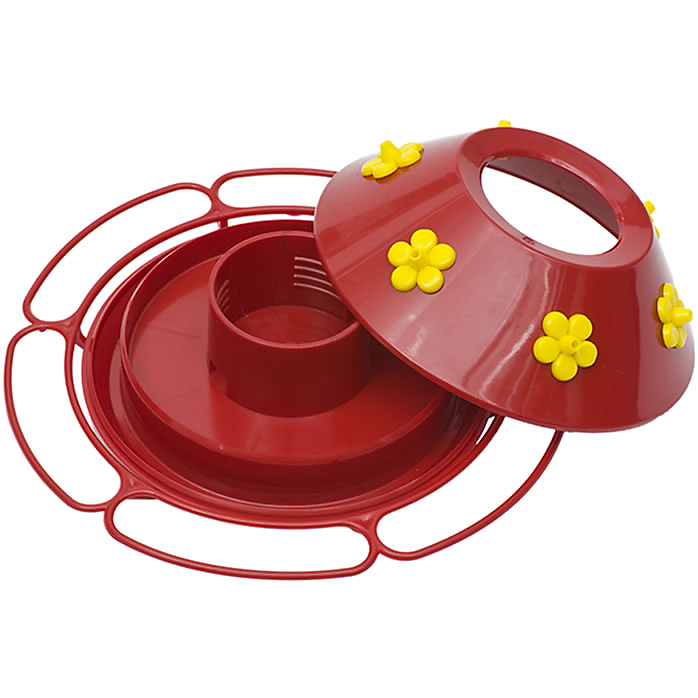 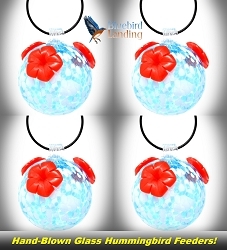 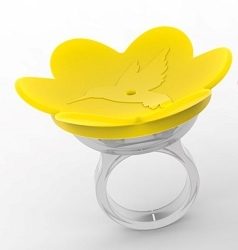 Plus, the flower-shaped feeding ports offer built-in bee guards to protect the nectar. 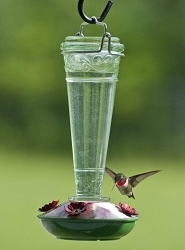 Along with the built-in ant moat, this feeder is sure to be safe from unwanted invaders. 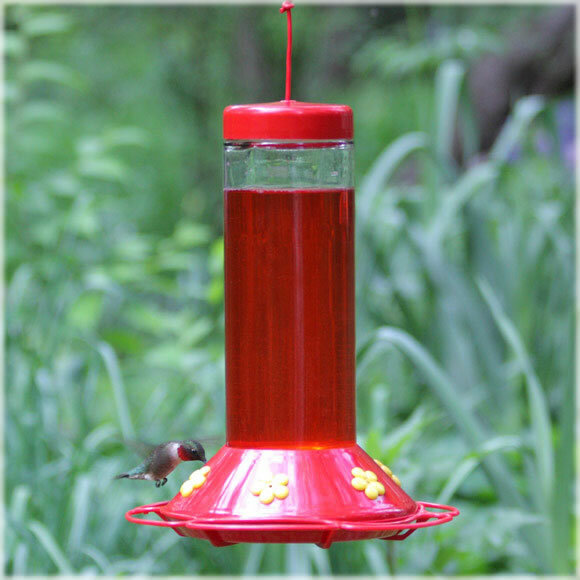 For best results, use Easy Mix Instant Nectar in Clear or Red (available at checkout). 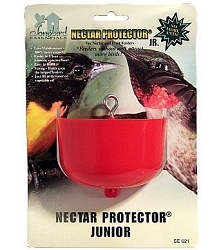 This specially blended nectar is easy to use, requires no boiling and stays fresh longer. 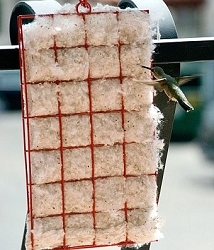 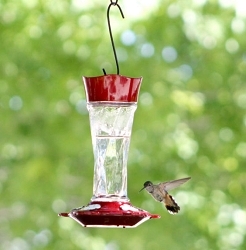 Remember to clean your hummingbird feeder at least twice a week, more often in very warm climates or seasons. 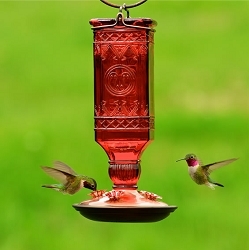 Dimensions: 3.5" x 9.5" x 11.75"
Twist Hummingbird Feeder 11 oz.